IL-2 Sturmovik: Birds of Prey, gives players the opportunity to take to the skies and engage in the most iconic areal conflict of World War II. 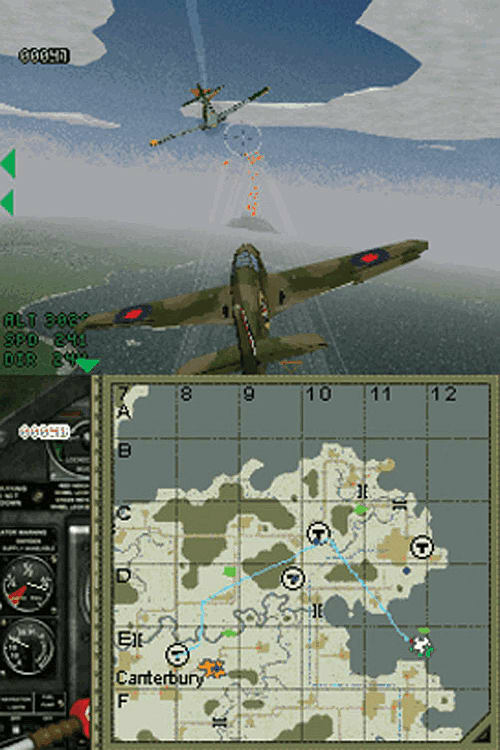 Pilot battle planes, fighters, or heavy bombers through a range of thrilling mission types. Battle for supremacy over stunning landscapes, from the patchwork fields of Southern England to the smoking ruins of Stalingrad. Relive the golden age of military aviation, guiding 13 classic aircraft including the iconic Spitfire, through 42 death-defying missions. 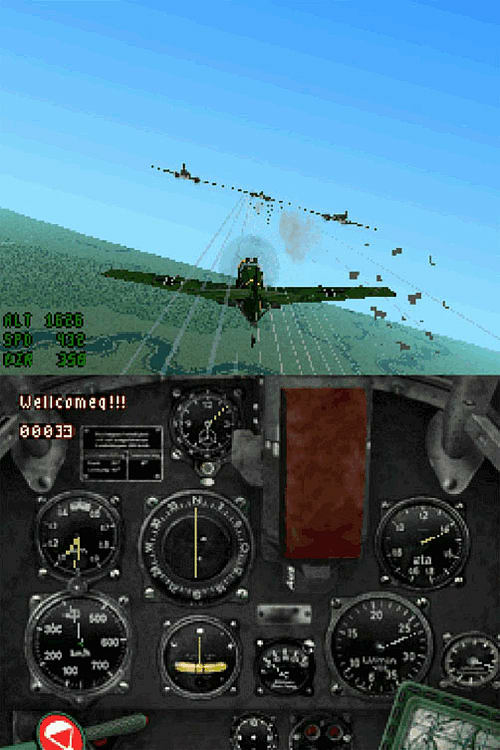 The Nintendo DS version of IL-2 Sturmovik: Birds of Prey has sought to employ innovative use of the DS’ unique touch screen format by way of counter measure. Players will be able to take hand draw notes on the in game flight card into battle, to physically record key information such as enemy positions and bombing coordinates. 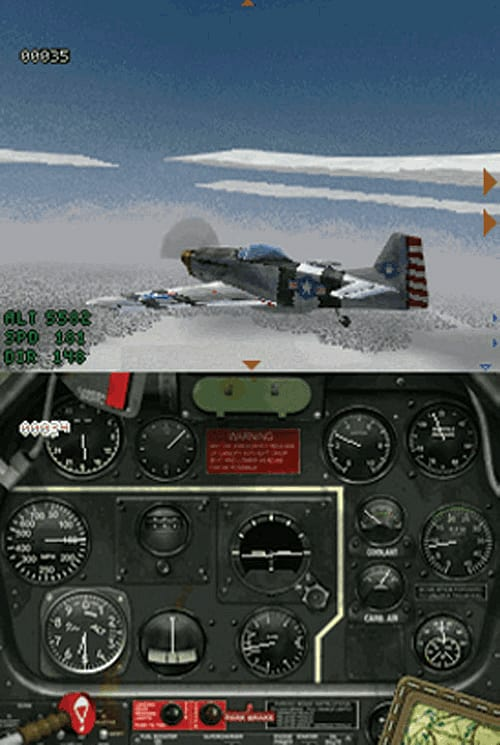 The lower DS screen is used for flight instruments with the top screen used for gameplay and have managed to cram over 25 planes across 42 missions into a single DS cart. The DS has been tested to its limits by producing maps that can comprise an area of up to 100 x 100 km, providing ample room for aerial manoeuvre.